There are two upcoming Fiber Arts Exhibitions that may be of interest to FSU students. 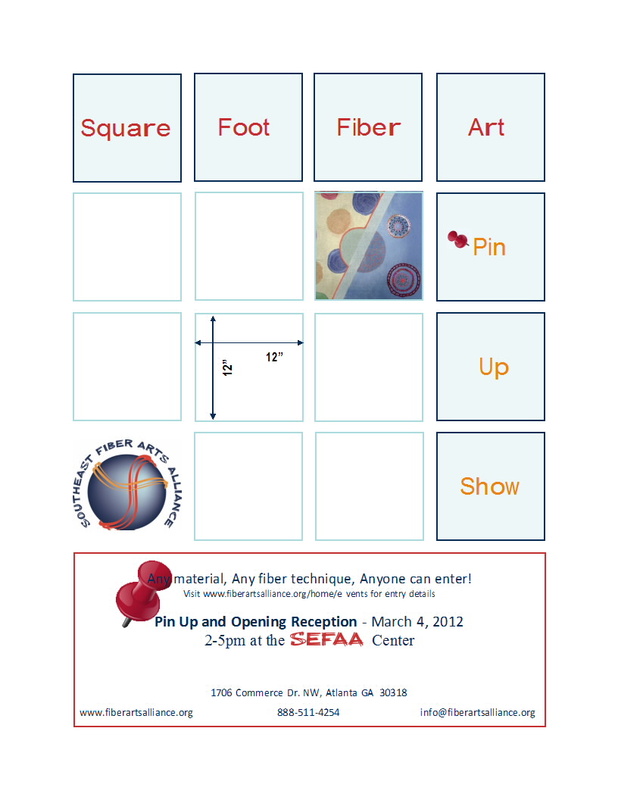 The “Square Foot Fiber Art Pin Up Show” will be held at the Southeast Fiber Arts Alliance (SEFAA) Center, opening March 4, 2012. This is a non-juried show, open to anyone. Create a 12″ fabric square in any textile technique and any material and submit it for our display wall. No theme and no restrictions other than a finished size of 12″ x 12.” Let your imagination soar and let’s show how wonderfully diverse, unique and creative the fiber arts are! Show attendees will vote for their three favorite squares and the top 12 vote-getters will be photographed for inclusion in SEFAA’s 2013 calendar. Also, a silent auction will run the duration of the show, so artists are encouraged to offer their submission(s) for sale. The portion of the sale proceeds donated to SEFAA (20% minimum to 100% maximum) is up to each individual artist. 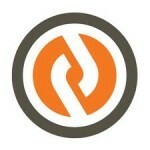 Entries may be submitted by mail or in person but must arrive on or before March 2, 2012. Mailed entries will not be returned unless accompanied by a stamped, self-addressed envelope. Interested candidates may download the Square Foot Fiber Art Pin Up Show Entry Form. It is free to enter. “Spotlight on Student Fiber Trends” is a juried show sponsored by the Southeast Fiber Arts Alliance (SEFAA) and East Carolina University. Undergraduate and graduate students enrolled in a fiber/textile program or independently pursuing a study of fibers/textiles in the Southeast (Alabama, Florida, Georgia, Kentucky, Louisiana, Mississippi, North Carolina, South Carolina, or Tennessee) are eligible to apply. Entries are due by April 2, 2012. The show will be at the Wellington B. Gray Gallery, on the East Carolina University campus in Greenville, NC from June 1 through June 29, 2012. Interested candidates may download, both, the Spotlight on Student Fiber Trends Prospectus and the Spotlight on Student Fiber Trends Entry Form.